With all votes counted, Acting Mayor of Moscow Sergey Sobyanin has won the mayoral election in the Russian capital with 51.37 percent of the ballot. He beat opposition figure Aleksey Navalny, who is placed second with 27.24 percent. Voting concluded in the Russian capital at 8pm MSK (14:00 GMT), with observers reporting no serious violations at polling stations. In order to win the election in one round, a candidate needed more than 50 percent of the votes. The turnout, which according to the Moscow election commission was about 32 percent of Muscovites, does not affect the results. At the same time, exit polls conducted by the opposition leader’s campaign office suggest that Navalny has claimed 35.6 per cent of the vote, with Sobyanin receiving 46 percent. The opposition candidate announced that there will be a second round of voting in the mayoral election. He vowed to call on his supporters “to take to the streets”if it does not take place. 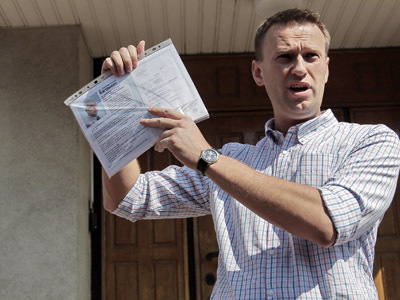 Navalny said he refuses to recognize the legitimacy of the votes cast at home, claiming that they could have been falsified. Moscow’s mayoral election came as a surprise in June when an ally and former administration head of President Vladimir Putin, Sobyanin, 55, announced that he would step down and run for a seat in September. Sobyanin had two years left in his term before it was due to expire. He was appointed mayor in 2010 after the then-President Dmitry Medvedev sacked veteran mayor Yury Luzhkov. Sobyanin's sudden decision gave other potential candidates little time to elaborate viable campaigns. The main competitor is 37-year-old lawyer Navalny, who burst onto the political arena back in 2008 as a blogger exposing corruption among high-ranking Russian officials, and later became the face of the Kremlin opposition and the Moscow protest movement. 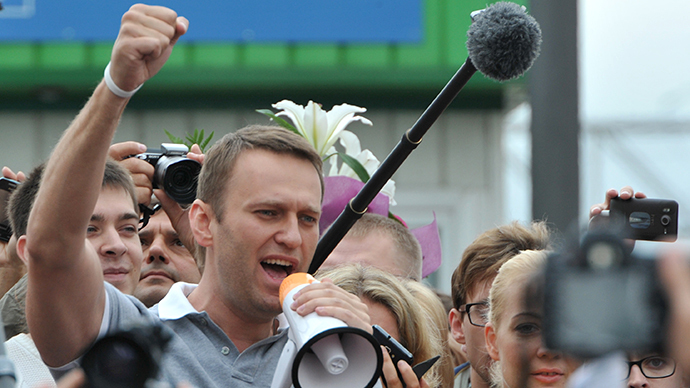 Ahead of the 2011 parliamentary election, Navalny called on his followers to vote for any party except United Russia, which he dubbed the "party of crooks and thieves". 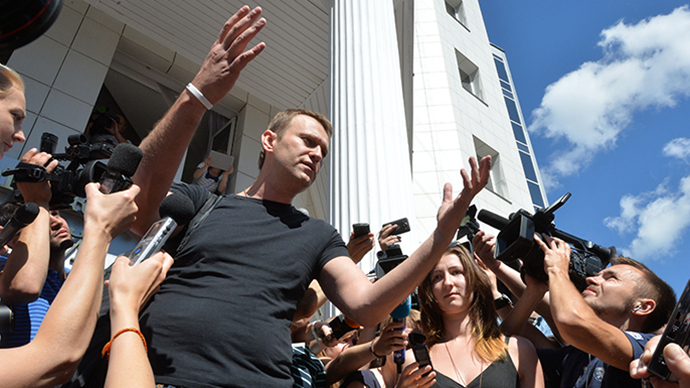 In July Navalny was sentenced to five years in prison on charges of embezzlement. He denied wrongdoing, and promised that he would fight on "to destroy the feudal state that's being built in Russia", as well as the "system of government where 83 percent of national wealth is owned by half a percent of the population.'' In an unprecedented move, the young politician was released after one day in jail to allow him to continue his campaign pending appeal of his sentence. However, the anti-corruption campaigner may lose his appeal and return to jail after the mayoral election. His conviction would legally exclude him from ever running for or holding public office, keeping him in jail until after the next presidential vote in 2018. "It is one thing to jump on the trendy bandwagon of combating corruption, but it’s a totally different thing to manage a city of 12 million and do a good job actually combating corruption," Putin said of Navalny in a televised interview with AP and Channel 1. 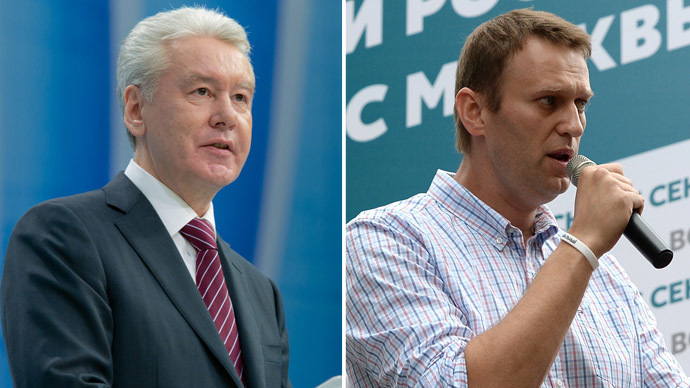 Although public opinion surveys showed that acting Mayor Sobyanin would be leading the race with over 60 percent in the polls, turnout for the Yale World Fellow, Navalny, could reveal the extent to which Moscow residents oppose the Kremlin. Meanwhile, four other candidates are also running in the election, including Communist Ivan Melnikov, Liberal-Democrat Mikhail Degtyarev, Yabloko party chairman Sergey Mitrokhin, and A Just Russia’s Nikolay Levichev. 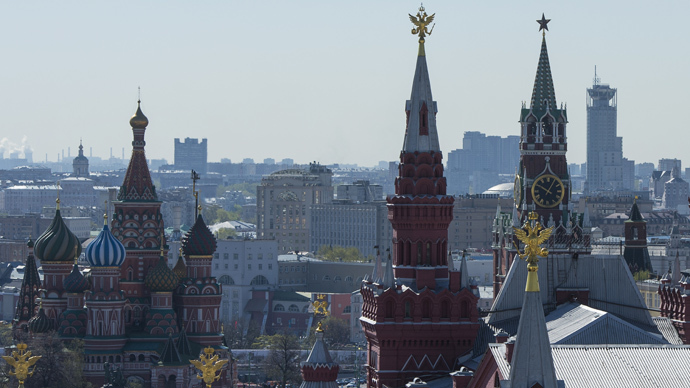 Over $13 million has been allocated from the Moscow budget for the mayoral election. Some 7,000 web cameras have been installed at the polling stations to prevent voting fraud. Over 42,000 police officers, including 10,000 at polling stations, are to ensure security during Sunday’s election. The commission tasked with observing the polls has received over two dozen complaints about the running of the election. One of them involved a false observer from the Communist Party who came to a polling station. When the real one arrived, the impostor ran away. In another incident more than 500 leaflets, calling residents to vote against all candidates, were seized from a woman illegally campaigning at one of the capital's polling stations. When she was detained, it turned out she had come from a different city. Aleksandr Brod an observer from the Moscow Bureau of Human Rights who serves on the President's Civil Society Council claimed that on the whole, there were no "decisive violations." 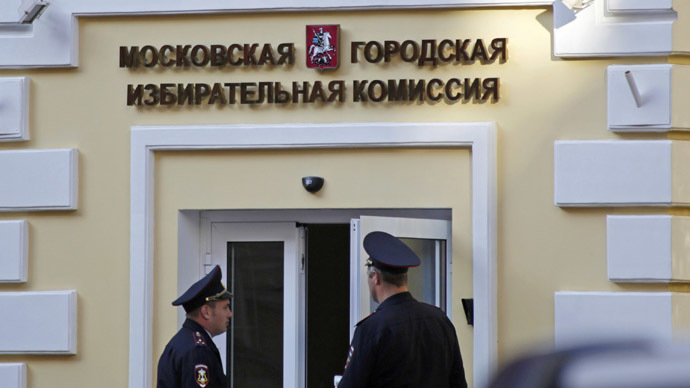 In addition to Moscow, gubernatorial elections are being held in seven other Russian provinces on Sunday, including the Moscow Region and the troubled North Caucasus republics of Ingushetia and Dagestan. In 2004, popular elections of regional heads were abolished under Putin’s initiative in a bid to step up federal control over the regions following the Beslan school terrorist attack in the Northern Caucasus. The regional heads have since been voted in by regional legislatures after being nominated by the Russian president. Although popular votes for governors were reinstated in 2012, Dagestan and Ingushetia will opt out of direct election. Under a law enacted in April, local legislatures can still select the new head if the authorities fear that a direct vote could result in instability and violence.